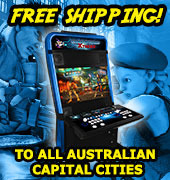 Arcade music machines are for sale in Australia by Highway Entertainment. These include dance, drum, and guitar arcade video games. Our arcade music machines include machines from the Dance Dance Revolution (DDR) series, Drum Mania series, Guitar Mania series, Pump It Up series, Beatmania series, plus much more. The music machines can be used as coin operated, or can be set onto free play. We also have software kits to upgrade your existing music machines, please view this in the PCB section. 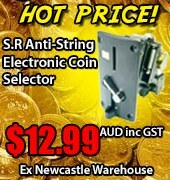 If you have a specific Music Machine in mind but cannot see it on our Australia stock list, please send us an inquiry and we will try and find it for you.